Inside the Park Collectibles has some great vintage Dodger memorabilia worth a long look in their current Summer auction. As I'm sure you've read in ad nauseam, the Brooklyn faithful hoped and prayed diligently to keep their team in the borough. Unfortunately for them it was all for naught. They eventually moved westward towards a more sunny destination. In the citywide campaign to keep the boys in Blue in town fans did all they could. They rallied and protested. 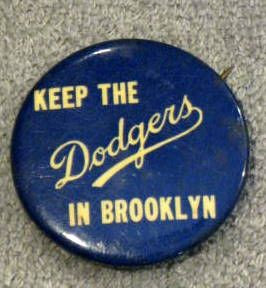 They even wore pins like a delegate at a political convention that expressed their desire to keep the Dodgers in Brooklyn. Below is one of those pins. It is rare and highly sought after. After all, after the team left town I am sure most Brooklynites quickly threw this in the round-file. As of this writing it is already at $666.00. 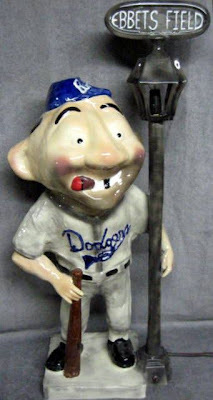 Here is a phenomenal 1950's Gibbs-Connor Brooklyn Dodger "Bum" lamp. It measure 28" tall and is beyond rare. I would guess that only a handful exist. In fact, this is the first time I have seen one of these. 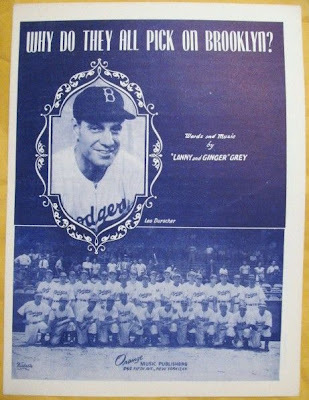 It features the Dodgers mascot bum holding onto a lamp post. On the top of the post the street sign reads "Ebbets Field"(the light works). In his other hand he holds a baseball bat. He is standing on a base which has a very light hairline in the back (cannot be seen when displayed). The is a push button switch on the bottom of the lamp post to turn the light on at the top of the pole. It is already up to $5,363.00. In 1956 Dairy Queen handed out these mini plastic statues to fans and patrons with a purchase of ice cream. They are kind of like prizes from a Cracker Jack box or a kids happy meal. 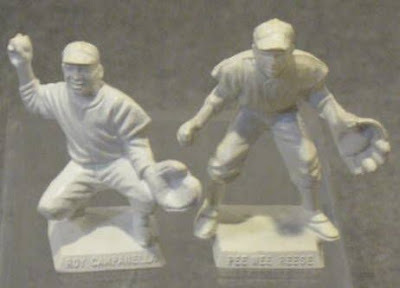 Below are statues for Roy Campanella and Pee Wee Reese. 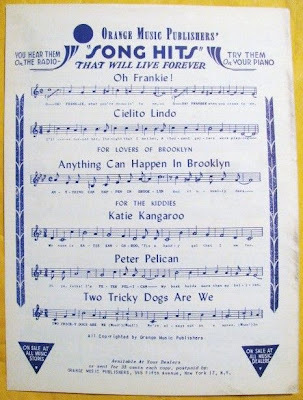 A recent twitter post by Upper Deck got me searching a bit for some old-time vintage card/ collectible commercials from my youth. Check them out below. Does anybody remember this game that used over-sized 1989 Topps cards? Neither do I. Check out this 1992 Donruss commercial. How About a 1960's Post Cereal commercial featuring Mickey Mantle and Post Baseball cards.